THE CURSE IS OVER. THE STREAK IS OVER. THE WASHINGTON CAPITALS ARE IN THE EASTERN CONFERENCE FINALS. 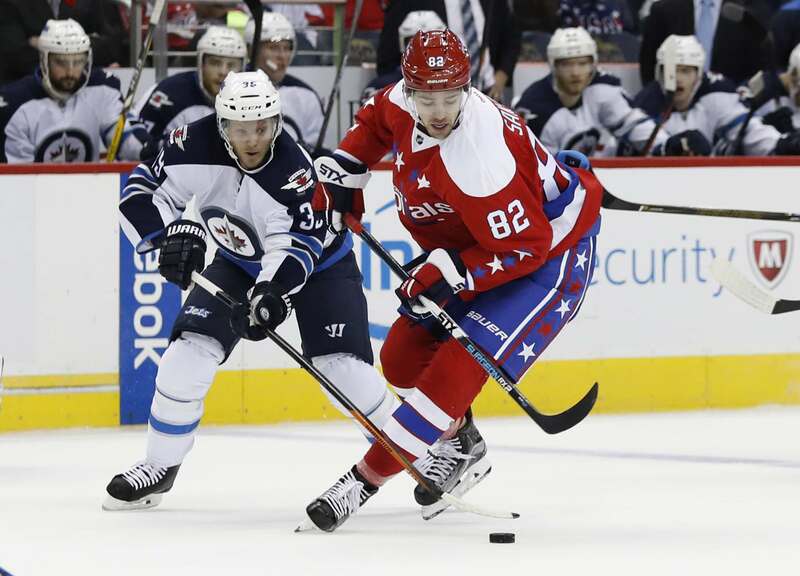 Leading into Monday night’s game 6, Capitals center Evgeny Kuznetsov had already scored six goals in the 2018 Stanley Cup Playoffs; only second on the team to Alex Ovechkin. 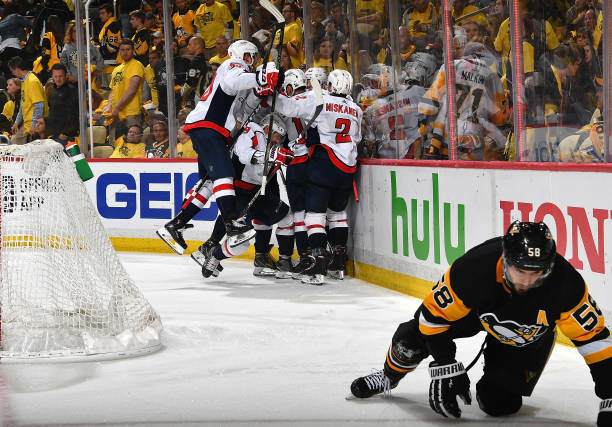 Game 6 was the first of the series to require overtime; a period that the Capitals required four times in the first round. The two goals in regulation came in the second period. First by Washington’s Alex Chiasson 2:13 into the period, followed by a Kris Letang slapshot to tie the game just under 10 minutes later. 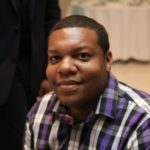 While the officials were different for games 5 and 6; only two penalties were called in the final five periods of this series after the two teams combined for 34 penalties in the 14 periods prior to the span. 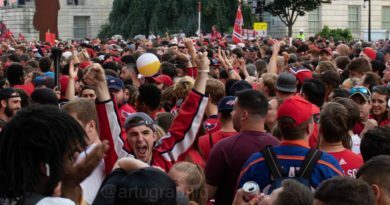 Before Monday night’s game 6 win, the last time any major professional sports team from Washington D.C. made it out of the second round was in 1998; the team to win in 1998? The Washington Capitals. Alex Ovechkin was 0-4 in postseason series against Sidney Crosby prior to this postseason. Ovechkin is the greatest goal scorer of our era; while Crosby has the distingushment of the best player in today’s game, mostly because of the 3 Stanley Cup championships to his name. Ironically, Ovechkin was credited with the game winning assist after a Crosby turnover Monday night. The Capitals captain will now be head to head against his follow countryman Nikita Kucherov in the next round. 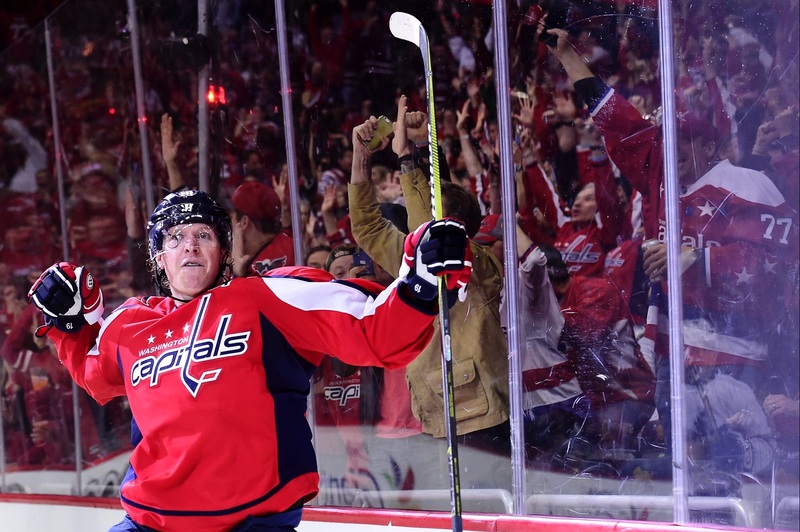 The Washington Capitals will now face the Tampa Bay Lightning in the Eastern Conference Finals. The Lightning beat the Boston Bruins in five games in the second round; and will be making their third Eastern Conference Final appearance in four years. Tampa Bay last won the Stanley Cup Championship in 2004. The Eastern Conference Finals will begin Friday night in Tampa Bay at 8:00pm. Looking back to the last championship in Washington D.C.